Plenty of sunshine. High 89F. Winds light and variable..
Mostly clear. Low 57F. Winds ESE at 5 to 10 mph. In a cloud of gun smoke Jon Mincks, playing John Dillinger, makes his escape at the 2018 Dillinger Days. Free community event that's all about transportation. All of these activities are free: zip-line, pony rides, zippy go-carts and TEP bucket trucks. Get a chance to climb into police vehicles, firetruck, cement mixer and giant construction trucks. When: Saturday, Jan. 19, 10 a.m. to 2 p.m. Cost: Free admission, all activities are free. Check out the festival that has something for everyone. Try out your skills at origami, games and activities. For those that want a more laid back experience, enjoy music, dance performances and unique food buys. When: Saturday, Jan. 19, 11 a.m. to 3 p.m. Cost: $5 for adults, free for ages 5 and under. Find more information click here. Tucson’s most convenient and compassionate locally-owned urgent care has a new location in the Sam Hughes neighborhood at 446 N. Campbell Ave., at the corner of Campbell and Sixth Street. Every Southern Arizona Urgent Care has an in-house lab, in-house x-rays and in-house meds. No more waiting! Take your family for spring sports physicals, sniffles, fevers and falls at one of Southern Arizona Urgent Care's nine locations in Tucson and Oro Valley. The Tucson Musician Museum is hosting a MLK music extravaganza. Listen to local celebrities sing songs of the civil rights movement in honor of Dr. Martin Luther King. Where: Leo Rich Theater, 260 S. Church Ave. When: Sunday, Jan. 20, 6-9 p.m. Cost: $25, get your tickets here. Lace up your sneakers, make a sign and let your voices be heard at the Women's March. In addition to inspiring speeches, there will be music, dancing, poetry, food trucks and vendors. When: Sunday, Jan. 20, 10 a.m. to 2 p.m. Cost: Free, but bring some money for food trucks. 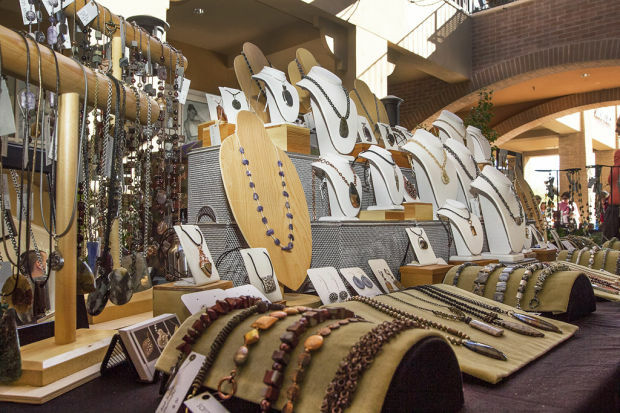 This festival features work from some of Southern Arizona's best artists, from metalwork to locally-designed fashion and performances, displayed and sold along the outdoor paths at La Encantada. When: Saturday, Jan. 19, 10 a.m. to 5 p.m. and Sunday, Jan. 20, 11 a.m. to 4 p.m. Cost: Event is free to attend, but bring some money for some great buys. Don't miss a chance to see the exciting tricks and events this year under the big top. This much-loved annual event wows kids and adults alike with its old-world charm. When: Jan 17-21, click here for dates and times. Cost: $20-$40, get your tickets here. 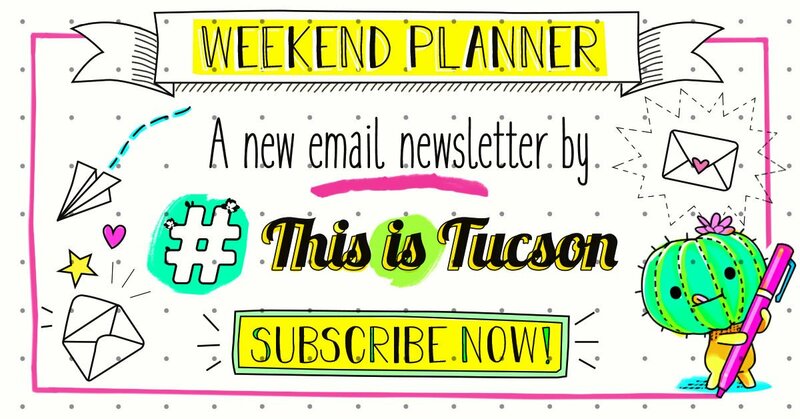 This annual reenactment of the capture of John Dillinger, America’s most notorious outlaw, at Tucson's Hotel Congress by the Tucson Police Department and the Tucson Fire Department, is free and family-friendly. There are three reenactments, a vintage car show, history museum, walking tours and food trucks. Where: Hotel Congress, 311 E. Congress St. When: Saturday, Jan. 19, 11 a.m., 1:15 p.m. and 3:30 p.m. Welcome to taco-topia taco lovers! Festivities include lucha libre wrestling, cocktails, live music, voting, kid's zone and more than 30 varieties of tacos to choose from. Bring some money for extra food tastings and cocktails. When: Saturday, Jan. 19, 11 a.m. to 6 p.m. It's going to get pretty hairy at The Screening Room. This event features more than 13 drag performers that will entertain all night. Meet adoptable dogs from HSSA and enter a raffle before the show starts at 7 p.m. All door sales and tips collected by the performers will go to support the homeless pets at The Humane Society for Southern Arizona. Where: The Screening Room, 127 E. Congress St. When: Sunday, Jan. 20, 6-10 p.m. Cost: $10, get your tickets here. Bookmans will be showing the 2006 movie "Happy Feet" and a craft for kids to take home. Where: Bookmans, 3330 E. Speedway Blvd. When: Friday, Jan. 18, 6-8 p.m. The gold rush has arrived! Little prospectors ages 4 and up will receive expert instructions on the basics of gold panning. The library's patio will have a display of rocks, minerals and resources for you and your family to explore. When: Saturday, Jan. 19, 2-4 p.m. Learn how to fold dollar bills into dresses, shirts, bow ties and more with friends at the library. This is a great way to learn how to make money-gifts for holidays, birthdays, graduations or tipping your server. Event is open to ages 8 and up. When: Saturday, Jan. 19, 1-3 p.m. Cost: Free, but you must bring your own money to fold. UFC Gym hosts free all-day admission one day every month. Come dressed to work out and the coaches will guide you through classes and equipment. When: Wednesday, Jan. 16, 4-8 p.m.
Get a real work-out and wrap yourself around a pole with a little sass. Kinetic Arts instructors will show you how to move smoothly, slowly and seamlessly between moves for your pole dance. A tank top or sports bra and shorts will be best for maximum grip. With pole dancing, legs, arms and even your skin and other body parts help you grip the pole. Where: Kinetic Arts Tucson, 17 E. Toole Ave. When: Thursdays, Jan. 17, 6:30-7:30 p.m.
Want to save some space in your garden? Learn how to make it vertical with step-by-step instructions. When: Sunday, Jan. 20, 12-2 p.m. Cost: $5-$20, cost of supplies. Grab your bags and get ready to shop toys, decorations, books, fabulous recipes, kitchen devices, art supplies, tech stuff, clothing, shoes, small furniture and more. Where: WomanKraft, 388 S. Stone Ave. When: Friday and Saturday, Jan. 18-19, 8 a.m. to 4 p.m. Cost: Free to attend, but bring some money for some great finds. Spend some quality time this weekend with clay in one hand and a beer in the other. At the event you will be shown the basic skills of hand built pottery, including pinch-pots, coil pots, and more. Where: Tucson Hop Shop, 3230 N. Dodge Blvd. When: Sunday, Jan. 20, 2-4 p.m. Cost: $31.27, $10 extra if you want your pottery glazed and fired. There's no crying in baseball! See some amazing women and their heart warming stories of their time spent in the all-female baseball league during World War II. Where: Himmel Park, 1000 N. Tucson Blvd. When: Friday, Jan. 18, 6-8:15 p.m. Celebrate John Dillinger and his famous arrest outside Hotel Congress with a gangsta classic starring Johnny Depp. Where: Casa Video and Casa Film Bar, 2905 E. Speedway Blvd. When: Friday, Jan. 18, 7-9 p.m.
Hey all you cartoon junkies, Casa Film Bar is featuring all your favorite quirky cartoon faves. Mimosas will be available for purchase during the cartoon extravaganza. Celebrate Martin Luther King, Jr. Day with all-day free screening of the blockbuster hit, Black Panther. When: Monday, Jan. 21, 11 a.m. to 1:30 p.m., 2-4:30 p.m., 7:30-10 p.m.
Today will be a bit breezy with some clouds and lower temperatures than yesterday.